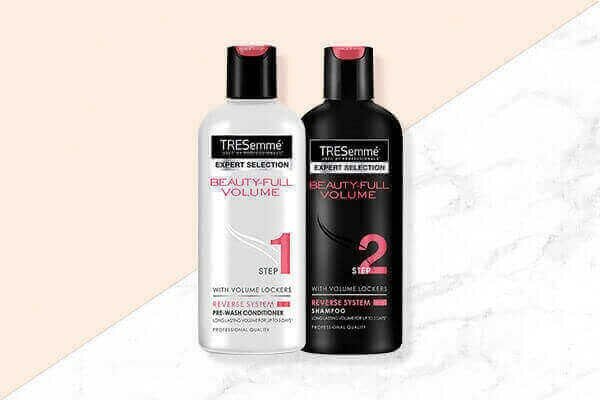 The key to getting any messy ponytail hairstyle is volume—so, ensure that your hair is well-prepped with TRESemmé Beauty-Full Volume Reverse System Shampoo and Conditioner with a revolutionary system of conditioner before shampoo that will give you volume that lasts long! Elle looks like she got outta bed, grabbed the first hair tie she could spot, skipped looking into the mirror and just tied her hair up into a tousled high messy ponytail—but we’re not complaining at all, it totally works for us! It won’t be wrong to call Blake Lively the queen of messy ponytails—she has sported so many versions of this gorgeous hairstyle and this one right here is our favourite. While most celebs prefer wearing their hair sleek on the red carpet, Blake wore her textured, beachy waves in a loose messy ponytail! We love! If you’re someone with thin, straight hair, take cues from Victoria Beckham and opt for a side-swept low messy ponytail! Don’t forget to spray some texturizing spray for that extra drama! If you have a layered haircut, choose to centre-part your hair from the front while leaving the front layers loose; collect the rest of the hair and put it into a messy ponytail! You can give it an extra boost of volume by adding a bump-it on the crown section. Back comb your ponytail for some serious volume! All you girls with mid-length hair! Take cues from Jennifer Anniston and try this ‘do by teasing your hair and adding a lot of texture to it. Achieve this hairstyle by using the tail of the tail comb to pull of random sections of your hair once it’s up in a ponytail!